Drug trial volunteers rarely understand that the trial might injure them. Or worse. It might kill them. A side effect of chronic disease is the number of solicitations patients get asking them to participate in efforts, called clinical trials, to validate new drugs for FDA approval. A clinical trial is an experiment on human volunteers to determine the effectiveness of a drug that manufacturers are required to undertake to justify it’s retail sale. Participants are given an ‘investigational drug’ designed to alleviate their disease in some way. Their physical responses to the drug, good or bad, are closely monitored. They sign a consent form guaranteeing that Big Pharma will not be held responsible for any negative effects of the experiment. Clinical trials for a drug called Tenovir, designed for use as a preventive for HIV, were halted in Cambodia and other developing countries when unexpectedly sophisticated local activists shut the program down. Clinical trials, in which volunteers are given a drug (or procedure) to be evaluated on human subjects, is the gold standard for medical research. Virtually every pharmaceutical drug on the market in the U.S. receives FDA approval only after clinical evidence shows that it is effective to some, often minimal, degree and the side effects are not especially unreasonable. The newly approved drug is promoted by saturation advertising and the money flows from insurance and consumers into Big Pharma’s coffers. Then, patients may learn that they are unwitting collaborators in an ongoing clinical trial. With wide usage, side effects and deaths mount and the true danger of the drug becomes obvious. That’s when the FDA rescinds its approval and problem drugs are removed from pharmacy shelves, which generally happens only after Big Pharma has made a fortune peddling it. By the time a drug is removed from the market, the pharmaceutical company has often made so much money that the drug is viewed as a financial success. The drugs’ banishment from the market and the civil lawsuits that follow are simply a nuisance. Collateral damage, you might say. Trasylol (Bayer) To reduce bleeding. Given to unconscious patients undergoing surgery. A large percentage of discontinued drugs are removed from the market due to patient deaths, liver toxicity, cardiac effects and lack of effectiveness. Some were granted accelerated approval by the FDA which often means that the FDA was bulldozed by drug company claims of urgency. 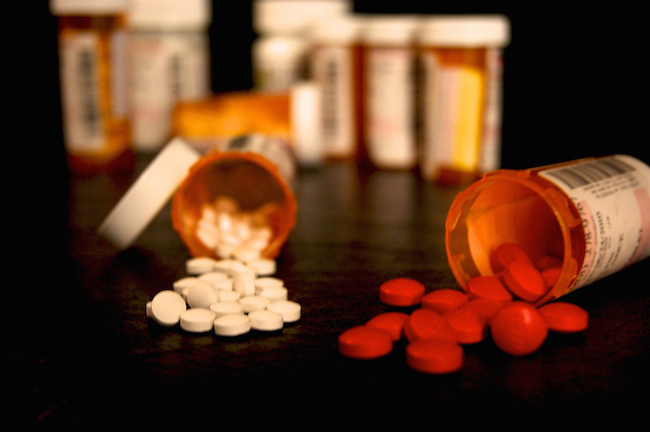 Some banned drugs are returned to market after pharmaceutical companies re-work their numbers. Informed consent, which is what the volunteers are supposed to give to show that they understand and accept the risks of being a guinea pig, has been the subject of ethical debate for decades. The questions are always: 1) Do volunteers really understand what they are consenting to, 2) do the risk that volunteers assume justify the potential benefit for others, and 3) are volunteers able to give consent that is not coerced? Prisoners, children, and the destitute are considered populations vulnerable to coercion. Paying volunteers can be a form of coercion. Too often, clinical trials are conducted in parts of the world where the population is poor, uneducated and likely to be submissive, unlike the United States where organizing a medical trial can be nearly impossible. In fact, that is usually the reason why drug trials are conducted in other countries. Nations in Africa and Southeast Asia are favorite locations for clinical trials because their populations often don’t have the sophistication to ask the right questions before signing up. So, gee. Major resistance to a clinical trial in Cambodia? What happened here? Cambodia, Cameroon and Malawi have high rates of HIV infection. Why would activists refuse a clinical trial for a drug that might prevent AIDS? Well, here are some of the reasons they gave for their defiance. There was no counseling included in the study design, neither HIV prevention nor pre- or post- HIV testing. There was no provision for medical care or insurance for people who became sick. There was no provision for handling adverse side effects of the drug. The safety of the drug for long term use by people who were not sick was unknown. and finally, the activist groups argued that the participants were to take all of the risks and get little, if any, of whatever benefits there might be. The last point, that the volunteers were taking the risk without any expected benefit, is a fact generally glossed over in clinical trials. Any consequence of the trial, either benefit or harm, is incidental since the point of the experiment is to learn what those benefits and harms are. That’s where the volunteer comes in. Once the participant has signed on the dotted line, the contract is complete, the researcher has fulfilled his obligation, and the investigation begins. If the participant comes to harm, even great harm, the signed consent form is evidence that s/he agreed in advance to any consequences. In my experience, volunteers rarely understand that the trial is not supposed to benefit them and it might injure them. Or worse. It might kill them. But those activists in SE Asia got it right. Cameron Salisbury is a former public health biostatistician for the CDC and is now an independent writer and editor. TLB recommends you visit Green Med Info for more pertinent articles and information.